Addiction is an insatiable beast. There’s really no way to sugarcoat this tragic reality. Once the beast of addiction has sunk its claws into its victim, everything begins to change. The sparkling person once full of life no longer has the light shining from their eyes. In its place is a dull and empty glaze. The person that was once present, caring and transparent has become elusive, angry, and numbed to reality. Yes, there are glimpses of the “real” person, but that person shows up less and less often. Now, their love, energy, and time once spent on family and friends are being held hostage by the beast. This beast is ruthless, requiring its victims to feed its appetite above all else-- and at the expense of others. Everything the addict does becomes driven by the urge to satisfy the cravings. They become obsessive as they seek to satisfy this need. Lying, hiding, manipulation, and stealing may begin in order to appease this monster called addiction. The addict is not the only one changed by the beast of addiction. All those in close proximity to the addict are affected. No one in the addict’s circle of relationships goes unscathed. Little by little, the destructive powers of the beast damages relationships. One by one, they fall prey to the monster of addiction. Friends, siblings, parents, and spouse-- each of them affected at some level by broken trust and the destruction that goes hand-in-hand with addiction. Each one grieved by the disappearance of the true person they love so dearly. To love an addict is to know pain. If you have ever loved an addict, this is a truth that is difficult to deny. The closer a person is to an addict, the deeper the damage. Therefore, the spouse suffers an immense amount of wounding, pain, and confusion. Yet it seems the most affected of all is the vulnerable child. Children of the addict suffer wounds that might be invisible to the casual observer, but the damage is incredibly deep, profound, and may follow them for the rest of their lives. This doesn’t always make sense to the onlooker or to the addict. Many addicts will argue that they love their children and are not child abusers! In reality, abuse comes in many forms; You don’t have to beat a child to break them. The parent may be present physically but absent in every way that matters. They may not listen to (or notice) their children because they are preoccupied with getting their next fix, how they will hide it, or how they will pay for it. Or, they may miss important events because they are busy chasing their addiction or too strung out to remember. Promises are not kept, appropriate attention is not given, and the emotional needs of the child fall through the cracks as they continually get put on the back shelf. With each broken promise and every empty word, the child shrinks back a little more and trust begins to disappear. Their self-esteem takes a beating and they wonder if they're invisible or why they don't matter to their parent. What have I done wrong? is a common thought for the child of an addict. Children of addicts are often left to their own devices as the parent sleeps, unable to wake up because of the substances they've consumed. Sometimes, when the addiction has become extreme, there may not be enough food or the right kinds of foods to keep a child satisfied and healthy. When all of the money has gone to drugs or alcohol, the family may even be kicked out of their home, forcing them into difficult or unsafe living situations. Because the spouse of an addict also suffers intense wounding, it’s not uncommon for children to experience neglect from both parents- not just the addicted one. The non-addicted parent can easily become emotionally unstable due to suffering their own abuse. This can make it difficult to adequately care for the child’s needs. They may be so preoccupied with trying to make sense of the lies and manipulation, or so anxious and worried about what their spouse is up to, that they unintentionally become emotionally unavailable to their children. Neglect isn't about what was done to the child, but what wasn't done for the child. Click to Tweet: Read this and learn how to help a child affected by a parent's struggle with addiction. 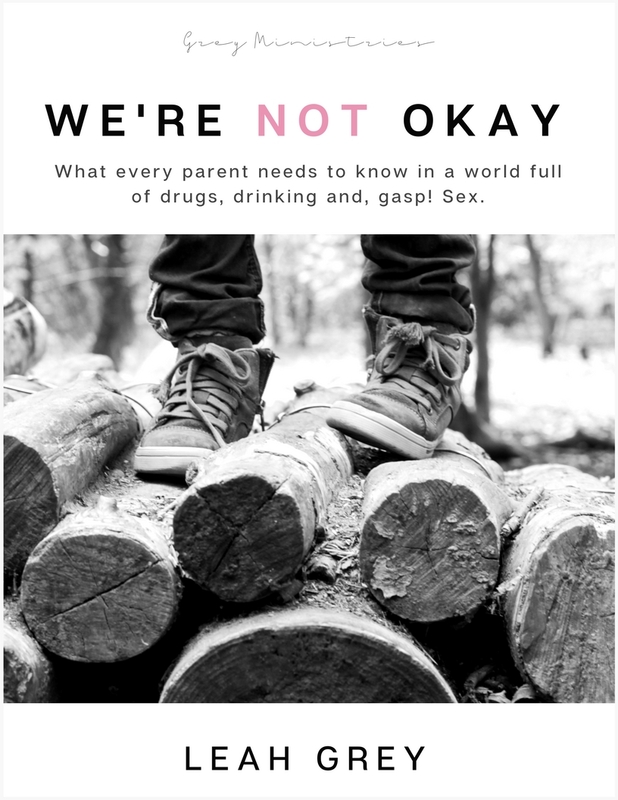 Parents that are fun and caring when they aren't under the influence of mind altering substances can become a completely different person while using or going through withdrawal. The beloved parent can suddenly become the most frightening person in the child's world when they get verbally abusive, aggressive, and even violent. Even if these things aren't aimed directly at the child, witnessing domestic violence toward another family member is incredibly frightening and traumatic. Imagine the confusion and fear for a child that comes with the unpredictability of never knowing which parent you will be encountering from day to day. Think about how it would feel to not know what the next knock at the door will bring. Will it be scary "friends" looking for drugs? Perhaps someone has arrived to turn off the water, repossess the car, give notice of eviction- maybe even the police. These examples of neglect and chaos barely scratch the surface of the confusing and frightening reality children of addicts suffer. Each situation may be unique and different, yet all have destruction and pain in common. The wounds left by these forms of abuse are not visible to the naked eye. These bruises are soul deep- a battering of the very spirit. To be wounded by the person who should protect them the most is damaging indeed. The innocent child is at the mercy of the beast of addiction, leaving them feeling helpless, hopeless, and powerless. The insecurities caused by being loved one moment and pushed away or completely forgotten the next, damage a child’s heart in a way that may never fully heal. Not only does the child feel the rejection of their parent, but they begin to feel self-rejection and shame. Children are self-centered by nature, so in their minds, all the pain, chaos, and destruction must be because of them. Their inner dialogue becomes I must have done something wrong or maybe something is wrong with me. If I could only be “better” this wouldn’t be happening. The abuse suffered by the child may have life-long effects. Research has shown that trauma experienced during a child's developmental years can actually rewire a child's brain. This can cause developmental delays, behavioral issues, mental health disorders, relational problems, and an increased risk of homelessness, suicide, or becoming an addict themselves. For more information, click here to read Lindsey's article: "Understanding Childhood Trauma"
Please, don’t enable your loved one at the expense of a child. It is common and understandable to hope that your love will be enough to convince the addict to change but it isn’t enough. If they are not willing to get help for themselves, they will not get help because of you or their children. So then, love has to be tough. Sometimes love has to know when to draw the line and say enough. And sometimes, love has to know when to let go. Letting go doesn’t mean you have to stop caring. It doesn’t mean you should stop praying. What letting go does mean, is releasing the addict to the consequences of their choices and to the Lord. I don't say this intending to heap guilt and condemnation on people who struggle with addiction but rather to speak to the reality of addiction and its impact on children. God is more than able to heal and restore, but unless the addict makes the choice to let Him, protecting the child must be the priority. Family separation and divorce are also very damaging to children and not something to be taken lightly, but in situations where the children are continually being neglected, abused, and exposed to harmful situations, protecting the child by leaving may become the lesser of two evils. There are innocent lives at stake. Children who need to know it’s not their fault, and that someone will stand up and do what is best for them. We can continue to hope and pray for restoration and healing. We will continue to pray that the addicted parent finds the courage to face the beast, choose to starve it and live free of its destructive claws. But in the meantime, if there are children left suffering in its wake, please find the courage to say, "Enough!". I will stand up for this child. Lindsey writes from her own experiences with the hope of raising awareness about childhood trauma as well as offering encouragement and hope to those parenting children who have been impacted by trauma. She is a lover of God with a desire to be used as a vessel of healing for the brokenhearted. The National Association for Children of Addiction is a wonderful resource for helping young kids and teens. Call Focus on the Family and speak to a counsellor for free! USA 1-855-771-HELP (4357), Canada 1-800-661-9800.